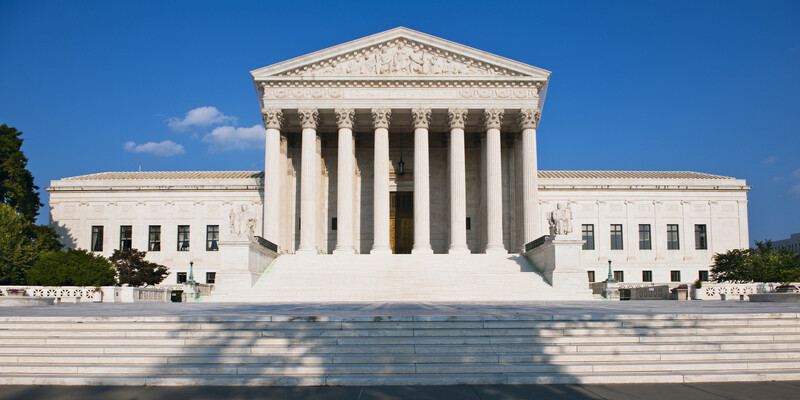 In Department of Commerce v. New York, the U.S. Supreme Court will decide to what extent a federal statute called the Administrative Procedure Act limits the legal processes available to an individual suing a federal agency for discrimination. This issue is important to religious liberty because it could potentially harm religious individuals who often rely on a legal process known as discovery to prove that government officials acted with unconstitutional religious hostility. On March 6, 2019, Becket filed a friend-of-the-court brief to the Supreme Court, addressing the importance of the discovery process for people of faith defending their religious rights. Oral argument is scheduled for April 23, 2019. On March 6, 2019, Becket filed a friend-of-the-court brief to the U.S. Supreme Court, addressing the importance of the discovery process for religious individuals suing federal agencies for discrimination. Oral argument is scheduled for April 23, 2019. Department of Commerce v. New York. The Becket Fund for Religious Liberty (n.d.). Retrieved from https://www.becketlaw.org/case/department-commerce-v-new-york/. Department of Commerce v. New York. (Apr. 04, 2019). https://www.becketlaw.org/case/department-commerce-v-new-york/. "Department of Commerce v. New York." The Becket Fund for Religious Liberty. Accessed [Apr. 04, 2019]. https://www.becketlaw.org/case/department-commerce-v-new-york/. When religious individuals sue a state or local government for discrimination, they can collect evidence in and outside of the courtroom to prove their case. They can question officials under oath, request government documents, and use every resource available to defend their religious liberty. This legal process known as “discovery” is vital for religious individuals who need to prove wrongdoing by government officials. Yet when religious individuals sue a federal agency, under a federal statute called the Administrative Procedure Act, they may be limited to using the agency’s own internally compiled evidence to prove that the agency engaged in discrimination. Without the normal process of discovery, and confined to the agency’s own records, the court is left to take the federal agency’s word that it did not violate anyone’s religious liberty. Although Department of Commerce v. New York does not involve religious claims, it presents this same issue—whether individuals suing a federal agency for discrimination are allowed to present evidence other than the agency’s own records. And this issue has the potential to affect people of all faiths, since federal agencies are often indifferent, even hostile, toward religious freedom. Becket has defended many religious groups from government actions and policies that were proven during discovery to have been based on intentional religious targeting. For example, in Fulton v. City of Philadelphia,a Philadelphia policy barred a Catholic foster agency the city had partnered with for decades from placing any more children with families. In discovery, the city demonstrated its actions were motivated by religious hostility toward the agency’s Catholic beliefs, by saying it’s “not 100 years ago” and that “times have changed.” In another case, BLinC v. University of Iowa, a public university applied a policy claiming to protect students from discrimination, but in discovery it was revealed that school officials used the policy to illegally target and deregister religious student groups that required their leaders to sign their statement of faith. All Americans must be able to defend their rights, through legal processes that give them a fair chance to prove a federal agency’s wrongdoing. On March 6, 2019, Becket filed a friend-of-the-court brief urging the U.S. Supreme Court to consider the implications its ruling in Department of Commerce v. New York would have on religious liberty. The Supreme Court will hear the case on April 23, 2019. Individual Freedom: The Free Exercise Clause of the First Amendment and other federal laws guarantee the right to freely practice one’s faith, and to defend that right fully in court. This includes access to legal processes to prove wrongdoing by the government, and especially federal agencies, which are historically less attentive to religious liberty than other government branches.